Today, I'd like to introduce you to Catherine Castle. She's a talented writer and photographer plus she's an award-winning author! Catherine contributed her time and writing talent to pen a devotional for my blog that I believe will encourage you in your life journey. A few years back I received a beautification award from the local garden club. I came home from a three-week trip to find a note stuck in the door telling me I had been nominated for a “Best Hillside Garden” award. When I called the number on the note, I was told I had won the award! While I was gone, one of the club members had driven around town looking for gardens, and she spotted my front yard which was, at the time, blooming with daisies and daylilies. The garden committee member who spoke with me went on about the ribbons of flowers that run through the back garden. She commented on colorful flowers that curve gracefully around the front of the house. She recognized the time I spent watering, weeding, and tending to the garden. She saw purple ninebarks nestled against chartreuse and lime green golden privets and forest green mugo pines. She described the front gardens as stunning and the back garden as awesome. Naturally, I was ecstatic. I’d never won a garden award before. So, I went out to view my garden. What I saw was three dead evergreens at the top of the hill; the bare branches of a dead forsythia sticking up in brown mulch; hundreds of flowers that need deadheading; the slender, dead trunk of a dogwood shooting up from the center of bushy dogwood suckers; a graying pile of pallet flats at the top of the gully; a three foot sticker weed waving at me from Mom’s daylily bed; and the fungal diseases that claimed the lower leaves—and in some cases, the entire plant—of the brown eyed-Susans. I was amazed the other gardeners overlooked the flaws, weeds, and work that needed to be done. Instead, all those who judged my garden saw beauty wherever they looked. They looked at my garden through different eyes. Eyes that didn’t see what I saw. I was gone a lot from the garden that year. Between trips I had just enough time to pull a few weeds from the paths. It was a rainy season, so God watered for me. Thankfully, God is gracious, because without his grace in my garden that year I wouldn’t be the owner of a beautification award. He is also gracious about my life. When he looks at me, one of his children, he doesn’t see the flaws of sin in my life. Because I am covered by his grace, though in faith and by the blood of Christ, God only sees the beautiful things in me, not the weeds. I’m proud of my Shaker Farm beautification award, and I went around for weeks with a big smile on my face, saying, “I’m an award-winning gardener.” If a plaque with my name and a tiny trowel attached to it gives me that much pleasure, imagine how happy I’ll be when God’s Beautification Award of Grace grants me a spot in heaven and a golden crown. I’ll take that award any day. Award-winning author Catherine Castle has been writing all her life. Before beginning her career as a romance writer she worked part-time as a freelance writer. She has over 600 articles and photographs to her credit under her real name in the Christian and secular market. Besides writing, Catherine loves traveling with her husband, singing, and attending theatre. In the winter she loves to quilt and has a lot of UFOs (unfinished objects) in her sewing case. In the summer her favorite place to be is in her garden. She’s passionate about gardening and even won a “Best Hillside Garden” award from the local gardening club. Catherine's debut inspiration romantic suspense, The Nun and the Narc, from Soul Mate Publishing is an ACFW Genesis Finalist, a 2014 Beverly Hills Book Award Winner, a 2014 EPIC finalist, a 2014 RONE nominee and a Carolyn Readers Choice Award finalist. 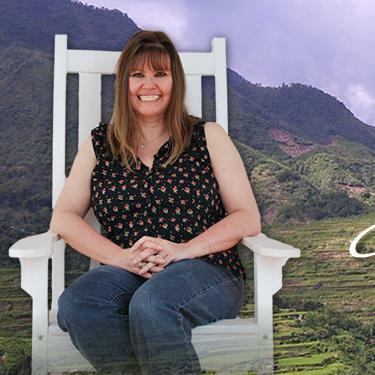 Mary is an award-winning romance author who lives in the beautiful foothills of East Tennessee (her words exactly)! She's a very sweet person who holds down a day job as an assistant principal yet still manages to create beautiful story worlds filled with fictional characters who captivate your heart and inspire your imagination within the first few pages of Mary's books! She's one of my favorite authors and I'm blessed to call Mary a friend. Now you're going to love this, Mary is going to contribute a devotional to my blog on the last Monday of every month starting July 2015! So today, my goal is to introduce you to this talented writer through an author interview with questions and answers that were previously published on other blogs (Mary gave me permission to do this) with the hope of helping you get to know Mary who is now a regular guest on my blog. I cannot remember a time when I didn’t write. In fact, my earliest memory consists of me sitting on the floor beside the washing machine in my family’s laundry room and scribbling (I didn’t yet know how to read or form words, but I could certainly scratch across the paper) because I had a story in my head that just had to come out and be shared. Since that day, I have never stopped writing. To me, writing is as essential to life as breathing. I am convinced that, prior to the use of my trusty laptop, I killed a forest of trees on my quest to record all of the stories woven through my brain and my heart. I wrote my first full-length novel in the sixth grade. Thanks to my supportive parents and a few wonderful teachers who encouraged me along the way, my fledgling confidence flourished and I figured I’d be published by the time I turned thirteen (after all, S.E. Hinton had managed a similar feat with her acclaimed and edgy young adult novel, The Outsiders). God had other plans, though, and many years (and countless edits) would pass before that first novel finally became published as Wisdom Tree. Why do you write inspirational romance? I feel very strongly about sharing messages of faith and hope with my reader-friends. To me, writing is a ministry. What elements do you consider most important in a contemporary Christian romance? First of all, that the characters are relatable and by no means perfect. Toss in a bit of trust, honor, loyalty, faith and a sweetness that is woven throughout. Of course, sensuality is important, as well. Our society seems to have forgotten the tenderness in holding hands coupled with a gentle kiss or stroke of the cheek. And, of course, a happy ending is always in order. You're prolific and have written so many wonderful books and novellas! Do you have a personal favorite (including series books)? If so, do you mind sharing the title and telling us why it's so special to you? Though my favorite story is usually the one I am currently working on (I tend to fall in love with my characters and have a hard time saying goodbye), Wisdom Tree is the book of my heart. I actually wrote it when I was in the sixth grade (of course, over the years it went through copious edits) and it is emotion-filled straight from my heart. The characters have lived with me for so long that I feel as if they are family. I would love to do a sequel one day. Write, write, and write! Get involved with a critique group and online or in-town writer’s workshops. Build a network of support where you can learn and thrive. Most of all…believe in yourself! How do you like to spend your time when you’re not writing? Of course, I love to read, so I do a lot of that. I spend time with my family hiking and watching movies. I also love to run, and have finished three marathons. First, I love coffee. My favorite writing days begin at about 4:00 a.m. with a cup of black coffee and a veil of pre-sunrise darkness. It’s cool to me to write while the world is still nestled soundly in bed. Second, I spent many years running marathons. This training has helped me tremendously to stay true to my path as a writer, especially when the going gets tough. Third, I write while I push mow the lawn. Yep, that’s right…I live on three acres and I push mow the entire thing. My neighbors used to try to help until I told them to let me be because I was crafting stories. Now they stop by when they see me plodding along to ask what I’m writing. Author bio: Mary Manners is an award-winning romance writer who lives in the beautiful foothills of East Tennessee with her husband Tim and the cherished cats they've rescued from local animal shelters...Lucky and Gus. She loves swimming, running, flavored coffee and Smoky Mountain sunsets. Mary was named Author of the Year by Book and Trailer Showcase. She writes inspirational romances of all lengths, from short stories to novels—something for everyone. 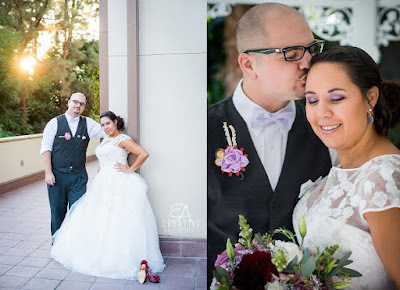 Welcome Brandy Heineman to the blog today. 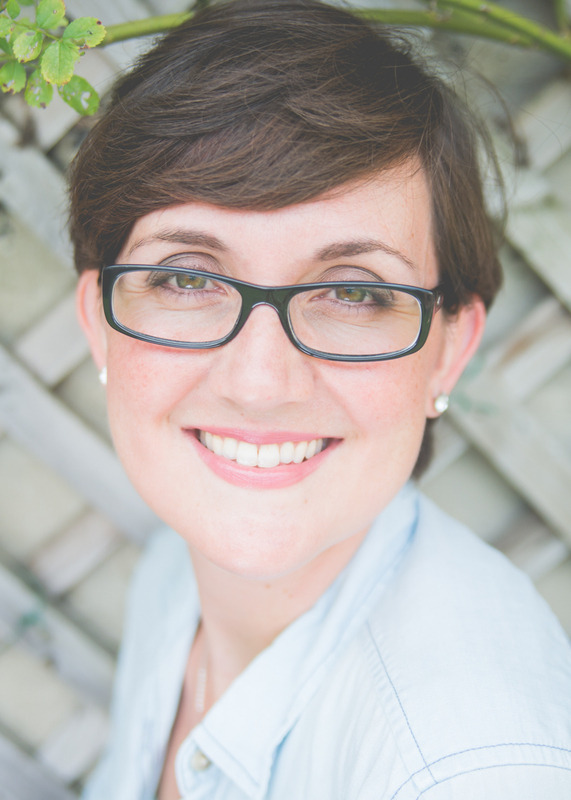 She's a wonderful writer with a passion for stories about faith and family history. Brandy is here to share her lessons on loving the unloveable. Yes, it is possible! :) Read on for good advice and Bible-based direction as to how to move past yourself and your emotions when offended and reach out with agape love for your fellow humans. At Vacation Bible School several years ago, I asked a roomful of third- and fourth-graders for ideas of ways they could follow Jesus. I still smile remembering the kid who suggested that he could be nice to his Mom. I shared the Bible verse above and gently asked my group to dig deeper, but that moment sticks to my memory with the awareness of what a “tax collector” I am myself. Obviously, we’ll struggle if we accept the task of loving the Unloveables around us. At times when we’re not tuned in to every day ministry, even recognizing them is tough. Who are they, and how can we follow Jesus in loving them? Remember Bartimaeus, the blind beggar who cried out for Jesus’s attention as He was leaving Jericho (Mark 10:46-52)? When it says that “Many were sternly telling him to be quiet” (v 48), what do you think that sounded like? It’s probably true that Bartimaeus ruined the experience for some folks that day. We're seldom at our best when we face unmet physical needs, but Jesus constantly ministered to the poor, hungry, sick and afflicted. · Visiting or volunteering at a nursing home. · Taking a meal to a family undergoing trials. · Writing an old-fashioned encouraging letter to a person who wears pain on his/her sleeve. A word on donations: I’d never suggest allowing a food pantry program to reach the bottom of its stores or withholding clothes or cash when it’s possible to bless someone by giving—but I can’t advocate stopping there. Donating can be very hands-off, which is appropriate in some cases, but make it personal whenever possible. Connection communicates love deeply. When someone hurls hurtful words our way, it's natural to volley back—and supernatural to show love to that person. Jesus exemplified this to the extreme when He said of his murderers and mockers, "Father, forgive them; for they do not know what they are doing" (Luke 23:34). What? This wasn’t some unintended slight! This was history’s most significant murder plot in the midst of being carried out! Yet the Pharisees, government officials, centurions, and jeering onlookers didn’t understand that significance. It’s the very picture of why we sing about Christ’s matchless love. We can’t match it—but we’re called to emulate it. · Choosing not to be offended. You can’t govern what anyone else says, but you can decide how to feel about it. · Praying for the offender and resisting the urge to gossip. Even if God does not choose to change that person, He will change your heart toward him/her. Most of us don’t intentionally exclude people at the fringe—especially when, like the woman who hemorrhaged for 12 years (in Matthew 9:20-22), they seem to prefer to slip by unnoticed. Nonetheless, Jesus took the time to make sure she was seen and known, and we should do the same. Simple to say; tough to do. What happens when a new person shows up in your tight-knit community group? What if he smells bad (because he doesn’t have a way to wash his clothes)? What if she ruins the easy camaraderie (because she can’t hold her hurting inside)? In situations where “polite” feels uncomfortable and forced, we might as well go for broke and show love instead. · Seeking out and welcoming unfamiliar faces. · Not shrinking away from people for superficial reasons. · Extending hospitality where it’s unexpected or unlikely to be returned. Loving the Unloveables in our spheres takes intentionality. We all fail frequently—and yet receive many chances to do better. Go seize yours! Your Turn: How do you suggest showing love to the Unloveable? 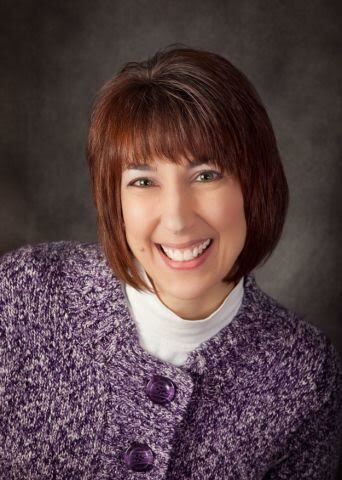 Brandy Heineman loves stories of faith and family history. She’s a graduate of Wesleyan College and an author with Elk Lake Publishing. She is also a first-generation Southerner who occasionally gets caught saying things like, “Y’all want some pop?” Brandy lives in metro Atlanta with her husband, Michael. Find her on Twitter as @brandyhei, or visit her online at brandyheineman.com. It's Thursday and today I am forever grateful that God is faithful! He blesses me and you in so many ways--seen and unseen--every single day of our lives. He's always there for us, no matter what and He loves us with ALL of His divine heart. Yes, you heard me right--God who is the CREATOR of the UNIVERSE loves you! Loves me! And He's not going anywhere. His love lasts forever! Why? Because God is faithful! Read Deuteronomy 7:9 for evidence. Example #1: A few weeks ago, it had been on my mind to take my car to the dealership for an early maintenance. It's a new car so I figured I had a few more weeks to go through before I took it in but the thought of getting my car checked would not leave my mind. So I decided to take it in a few weeks earlier than scheduled. Now here's where the story gets interesting. On the day of my maintenance appointment, hours before I was due at the car dealership, I was driving and approached a stoplight. A homeless man who frequents that particular stop, was holding his usual cardboard sign that said he was hungry but on that day, beneath the word "Hungry" was written quite clearly, "Check Your Tires." Now that man always frequents that particular stop but never in the past ten years of my seeing him at that particular intersection had he ever written the words "check your tires" on his cardboard sign! I found that to be unusual but it did make me wonder if everything was okay with my tires or if that was just a general message for everyone with no special meaning. And here is where God's faithfulness comes in...Later on that same day, I arrived at the dealership and checked my car in for maintenance. I brought a book with me and settled into a cushioned leather chair located in the waiting room. Halfway through my reading of the book, one of the dealership's employees asked me to walk with him to my car because he wanted to show me something that needs my approval to fix. Warily, I followed him to the garage and stopped at my car. The service worker pointed to one of my tires which he had removed from my car. He pointed to not one but two medium-sized, thick nails that were embedded into that tire and said he can remove it and "plug" the tire for an extra $35.00. The plug is supposed to last for a lifetime. He also said it's not as bad as it could have been if the nails were located elsewhere on the tire and that he can fix it with a plug. The words on the sign held by the homeless man flashed across the memory of my mind and I realized that God sent me a message through that man with the cardboard sign. I believe to this day that is a pure example of God's faithfulness to me and all of His children! And it's a great reminder that God can work through anyone in any place at any time to help His people. Example #2: Yesterday, I saw through a digital reminder on my car's dashboard that my car only had about 92 more miles to travel before I'd need to fill my gas tank. I made a note on my electronic calendar to get gas today but as the activities of the day went on and I hit the road, I forgot. However, as I was eating lunch at one of my favorite little restaurants, one of the patrons standing near me waiting to place his order was talking to someone and in his conversation he mentioned "gas" and immediately, the thought popped into my head, "I need to get gas for my car!" So thankfully this story has a happy ending because after lunch, I did not delay the task-- I drove to the gas station and filled my tank with the gas it needed. Yet another example of God's faithfulness! In closing, I'd like to share a song by my Mom's ultimate favorite singer, CeCe Winans. She's a beautiful woman blessed with a soothing voice. So tonight, I'm sharing CeCe's song, "Great is Thy Faithfulness." As you listen to this song, I encourage you to reflect on God's faithfulness in your life and the lives of your loved ones. If you don't recognize God's faithfulness in your life or do not believe in God, I am praying for you. And I want you to know that God loves you just as much as He loves the pastors, preachers, gospel singers and Christian writers in this world. God is no respecter of persons (Acts 10:34), He loves us equally! God doesn't play favorites (Romans 2:11) but He knows how to treat each one of His creation as if they are each His favorite person in the world because honestly, we're all His children and He wants what's best for us. Hence, the reason for His faithfulness! God's not going anywhere. Don't run away from Him, run to Him! You'll find God waiting for you--if not running to you--with His open arms, ready to embrace you, hold you and see you through this life here on Earth. Ultimately, I pray that God will show you His faithfulness! "The day I got married I was focused on how much I loved my soon to be husband and how much that love had changed me and him into better people. I was devoting myself to building a life with this person, and was looking forward to how much our love would continue to change us for the better." "I've only been married for eight months now but it's amazing how much my view of that love has changed. I still love my husband very much and even more so than the day we were married but I've also learned a lot about the kind of love that's required if it's going to last a lifetime. Grace is a chief requirement for a marriage to have a chance. Not that I wasn't aware of this before, but now am uniquely attuned to just how imperfect my husband and I both are." "I'm still devoted to building a life with my husband but more importantly I'm devoted to my husband. To loving him and supporting him as he strives to improve himself and become the man I know God created him to be, as he has graciously done the same for me." *The groom was not available for comment. The music changes. Everyone stands. All eyes are on her. She steps into his line of sight and I immediately turn my camera on to his face. The look of joy, astonishment at her beauty, and pure love that’s reflected there often makes me tear up. Then I turn back to her, capturing her journey down the isle to exchange one name for another, commit her life to his, and seal it all with a kiss. I love weddings and, working as a wedding photographer, I’ve gotten to see all sides of them. The good, the bad, and the beautiful. The one thing that has been consistent through all of the weddings that I’ve captured is the reality of love between the groom and his bride. Yes, it looks different outwardly, but I’d hazard a guess to say it is very similar inwardly. A type of love that bypasses conventional wisdom in some cases, that over-looks flaws, and that preservers to the uniting of two hearts. I get the behind-the-scenes look. It’s actually one of the tenants that I build my business on—the reality that I’m not just the couples photographer, I’m their friend capturing images that will act as tangible memories for the rest of their lives. With that, I get to see everything. I hate to break it to you ladies who may not be married yet, but your wedding likely won’t go off “without a hitch”. That doesn’t have to be a bad thing though! I once did a wedding where a caterer didn’t show up…they ordered pizza and it was a chance for everyone to do dessert first! The fact is, the wedding day—though a joyous occasion and celebration—is just that, one day. A marriage is forever. And for that forever to work, the foundation has to be love. Not the kind of love you feel one day and it’s gone the next. Not the kind of love that burns passionate and fizzles out. Not even the kind of love that is based on who the person is right then and there. No, it’s a different kind of love. This kind of love is durable. It can be stretched. It will be tested. It sees with clear eyes to the heart of who the person really is and delves deeper than what can be seen on the surface or acknowledged in a few conversations. This love says that it will take everything—good days and bad, sickness and health, poverty and wealth—because it’s a commitment. This type of love is a choice. I’m idealistic and a true romantic at heart, but I have come to realize that I can’t believe love rests on a feeling. If it did, I think I’d be anxious all the time because with one wrong move, that love would be gone because feelings change so often. But realizing that love is a choice means that there is hope. Hope of a sustaining, lasting love. When a bride says, “I do” to her groom, she knows that those words cover the ups and the downs. They cover her in the morning without makeup on or him forgetting to take out the trash. They cover experiencing the death of loved ones, loss of finances, or natural disasters. They also cover the beautiful times like candlelit dinners, faraway vacations, and the birth of a child. That is what I see love as. Sustaining, enduring, and ultimately based on Christ’s love for us. We have the perfect example in Him and, through his perfect grace, we can exhibit the type of love that lasts forever. Emilie lives in Washington, D.C. and fills her time with creative pursuits. She writes, runs a wedding & portrait photography business, reads, plays guitar, and drinks too much coffee. She’s a member of ACFW and is currently working on a romantic suspense series while dreaming up a YA dystopian world on the side. You can also check out her writing blog, Thinking Thoughts. I'm super excited to introduce my new series "Worth 1,000 Words"! Every Wednesday, you can visit my blog to find a picture that's worth a thousand words and you can discover wonderful wedding photographers who captured that lovely moment. This series is meant to promote the work of wedding photographers who love God as much as they love capturing the true love stories of their clients with their professional camera. 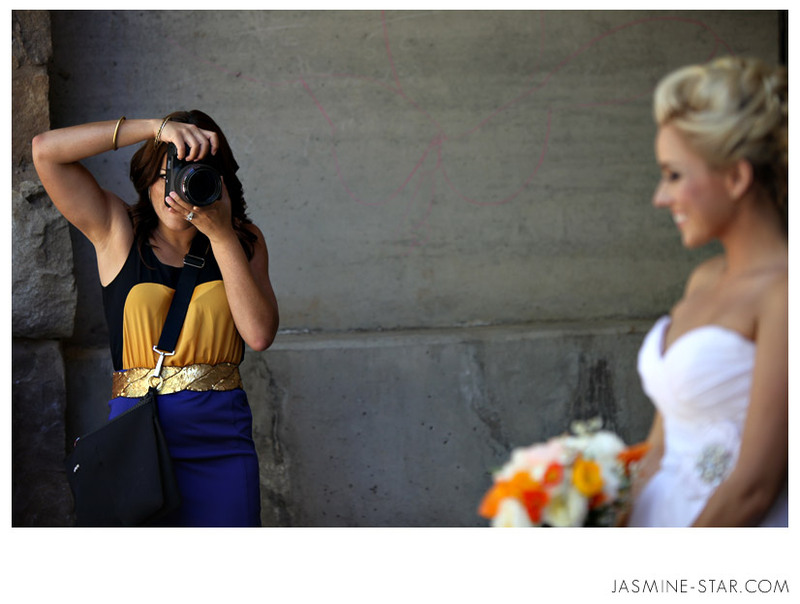 My ultimate favorite wedding photographer is Jasmine Star, pictured in action above this text. She is a sweet, sincere and business-savvy role model for creatives in the wedding photography industry! She's kind, professional and a great teacher. Jasmine hosts workshops and speaks for Creative Live. She has a heart for giving back to the community by mentoring aspiring photographers and helping them to build their business and reach new heights of success. *Please note: Sometimes there may be cases when then bride and groom could not be reached for comment. But you can still expect items #1, #2 and #5 every Wednesday, for certain! So I'm excited for this new series! Are you? Take care and God bless you! 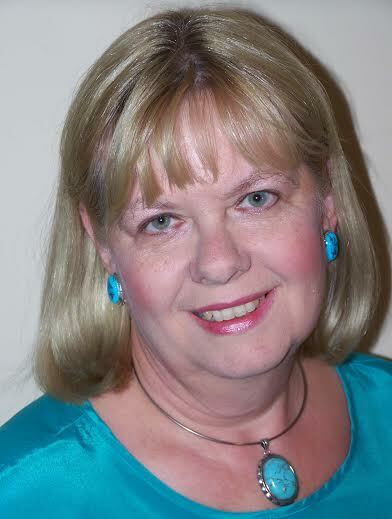 My Spring 2015 "Love is in the Air" blog series concludes today with an author interview of Jan Elder. Jan's first book, a novella called Manila Marriage App, released in April and it is a pure delight! A story filled with intrigue, surprises, plot twists and clever lines awaits you because Jan promises to send one copy of her novella to the winner of the book giveaway contest! Enter the contest by first leaving a comment and your e-mail address in the comment section below this post and then fill out the entry form on the Rafflecopter widget. Meanwhile, enjoy this author interview featuring Jan Elder. Alexis: Congrats on the publication of your first book, Manila Marriage App! What did it take to write it? Jan: Tenacity! To be a bit more specific, it took a year to write, another few months to have professionally edited (a must if you’re going to attract a publisher) and another year after I received a contract before it was released (April 17, 2015.) Yep. An author learns patience very quickly. Or slowly…as the case may be. Why did you write Manila Marriage App? It all started in a little café in Silver Spring, Md. I was meeting with a few other ACFW members (American Christian Fiction Writers) and fellow writer, Carole T., mentioned that Pelican Book Group was searching for authors to write for their Passport to Romance series. What did I do after I hurried home? You got it. I checked it out. Pelican/White Rose publishing has a lovely website with terrific handy-dandy info all about their requirements. Take a trip and fall in love! Passport to Romance™ titles are contemporary romances set in exotic locations around the world. These stories offer the contemporary Christian reader adventure, vivacity, romance, and faith. Passport to Romance™ features chic heroines who are sparkling, confident, open for adventure—and who are a perfect match for a contemporary alpha male who has a zest for life, a thirst for God, and who likes an intelligent woman who can hold her own. My single brother. He’d always talked about how difficult it was for a busy missionary man to find a good woman. It would be a great deal easier to just send out an application and choose a mate without all that fuss, muss, and emotion. He was kidding of course, but hey, what if he wasn’t? What if there was a man out there who would have the audacity to advertise for a wife in this day and age? Shay Callahan is quite a name! Tell us more about your leading lady. What made her want to fill out the Manila Marriage App? What are her greatest dreams and biggest fears? What makes her tick? What makes her heart melt? Shay was doing just fine, thank you. Just fine. Except she wasn’t. There was no joy in her life, no passion…no close walk with God. What started out as a plan to bring our hero, Timothy Flynn, to his knees, turns into a real adventure for Shay. She yearns for a real relationship where there is deep love and self-sacrifice. She’s just not sure how to get there. She may seem a bit brash, but she has a huge heart and a stifled desire to make a difference in this world. What makes her melt? A man who will love her for who she is and bring out the very best in her. Dr. Timothy Flynn is the hero of this book who is not very likeable for the first few chapters of your book. Is that how you wanted it to read? Explain. What was your favorite part of creating this character? What did you find most challenging? Timothy Flynn is a complicated man. To use Shay’s words, he’s a mountain of contradictions cloaked in complexity. What looks to be arrogance on the surface is merely insecurity when it comes to women. He’s sure and confident in his passion for teaching and mentoring students, but at his center, he’s a shy introvert with a fear of getting hurt. So, he approaches marriage the only way he knows how—with his brain rather than his heart. The best part of creating his character was creative his myriad layers. Taking this seemingly egotistical man and revealing his true personality, one with a heart full of love just waiting for the right woman to share his dreams, took some doing, but I hope you see his true self by the end of the book. Why did you choose to set your book in the Philippines? 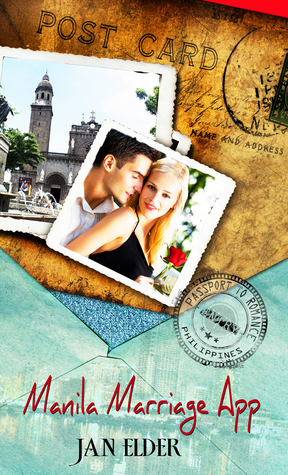 The Pelican Passport to Romance series has over 50 exotic cities to choose from so the defining factor in writing Manila Marriage App was, of course, location, location, location. And since they were taking “open submissions” that meant I didn’t need an agent, a big plus for a new author. In addition, the extra-cool thing was that in each of the countries, the author must sprinkle in three specific items—objects that are completely different for each country. One of the three for the Philippines was a cat and I’m a cat lover from way back. Yippee! How much more perfect could it be? According to your author bio, you are “A Christian romance writer with a zeal for telling stories other women can relate to.” How long did it take you to realize this was your niche? Share the story of finding your voice as an author. I’ve heard many writers say there was a pivotal moment in their lives that marked the beginning of their writing career. I know that was the case for me. That joyful (not to mention traumatic) moment occurred on my 50th birthday. My ever-loving husband, Steve, surprised me with a weekend at the Ritz Carlton (yes, I can hear some of you sigh, he is a wonderful husband and I am very blessed!) After the glow from the spa facial wore off, (a facial “created for those on the go, a refreshing treatment including cleansing, mild exfoliation, a facial massage, and moisture infusion”) real life began again, but the desire to write had grown and taken hold deep down in my psyche. Three months later, I heard about the National Novel Writing Month (NaNoWriMo), an annual internet-based creative writing project that takes place every November. NaNoWriMo challenges its participants to write 50,000 words with the goal of stimulating those creative juices and keeping writers motivated throughout the process. A group of fledgling writers were meeting at a café fifteen miles from my house, and I decided to give it a try. I only made it to 30,000 words, (okay, okay, it was actually 29,000 something, but thirty thousand sounds so much more impressive) but I was hooked. And thus began my humble writing career. I think your goal to write books that strengthen the reader's faith, while also “providing an entertaining and engrossing love story” is quite the goal! How do you think you accomplished that goal in your writing of Manila Marriage App? I think it’s important that the characters in a book, especially a Christian book, grow and change throughout the story. The hero and heroine we see at the end of the novel should be very different from the people we meet on page one. When one or both of the main characters cry out to God, how does He change the direction of the story? I tried my best to achieve that goal in Manila Marriage App and as the story unfolds, I hope the reader will be pleased and surprised at the character development…and with the way Shay and Timothy discover true love. Who is your favorite Christian author and which one of their books inspire you the most? I’m going to go with the amazing, Mr. C.S. Lewis. One of the best gifts I’ve ever received was a Christmas present of The Chronicles of Narnia. I reread them every few years and they never fail to thrill me. And speaking of C.S. Lewis, one of my favorite books of all time is A Severe Mercy by Sheldon Vanalken, a friend of C.S. Lewis’s. If you haven’t read it, check it out. It’s beautifully written and one of the best love stories of all time. I plan to reread that one again this summer. Every creative has a muse. What or who is yours? My husband, Steve, has been a terrific inspiration to me and he urges me on. When I first got serious about writing, he insisted on buying me a new laptop so I could write in style. He also helps me with male dialogue so my manly characters don’t sound feminine! How does your real faith in God play into your fictional storytelling? Writing Christian romance was a natural fit for me. I was born again at age five and everything in life centers around God for me. My goal in writing is to shine a light on a particular concept or new way of thinking that might resonate with the reader. Oh yeah, and they have to be fun. I like injecting humor in my stories to up the entertainment factor. What’s your next work in progress? Can’t wait to read another book written by you! I just finished writing a contemporary Christmas novella and submitted it to Pelican Book Group in April, 2015. It’s called A Semi-Precious Christmas and starts with a bang—a jewelry store heist in progress. I’m hoping that Pelican decides to publish it, in which case, it should be out this Christmas. It was a great deal of fun to write! Describe your writing space. What makes it special to you? I write on my laptop while sitting on the couch in my living room, feet crossed up under me, a cat or two plastered to my side. My husband is generally watching TV while playing on his computer, and we often converse back and forth concerning the show or an article he is reading. In between all of that noise, I come up with plot, characters, and dialogue. I’ve tried writing when it’s quiet, but it doesn’t work as well. Weird, huh? Complete this sentence: If I could make the perfect cup of coffee, I would make_____________with______________because___________. If I could make the perfect cup of coffee, I would make a Starbucks White Chocolate Mocha Frappuccino® with skim milk, Splenda, and plenty of whipped cream because there are just some days when you need a good cup of coffee. Thanks for the interview, Jan! Please leave a question for my readers to answer. Jan's question: If you could visit any country in the world, what would it be, and why? 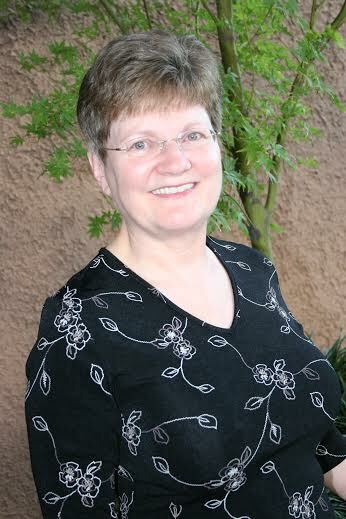 Jan Elder is a Christian romance writer with a zeal for telling stories other women can relate to. She strives to write the kind of book that will strengthen the reader’s faith, while also providing an entertaining and engrossing love story. Pelican Book Group/White Rose is publishing her first novella, Manila Marriage App, one of many in their successful Passport to Romance series. It all began as a lark. Shay Callahan’s life was just fine, thank you, but when the seemingly misogynistic missionary, Timothy Flynn, places an advertisement for a wife in a Christian magazine, she decides to give it a whirl and sends in the five-page application. Why not? After all, she’s not currently seeing anyone, and this man truly needs to be taught a lesson. Finding out she’s Dr. Flynn’s pick of the litter, Shay hops on a plane and flies to The Philippines. The strategy is to jet in, enjoy an exciting two-week vacation, and jet out again, all at his expense. Instead, her plan backfires. The handsome missionary man is not what he seems, and the foreign land has far more to offer than she could imagine. Let's welcome Rose Allen McCauley, romance author, to the blog today! Rose is here to talk about her soon to be released book Surrender to Peace. Alexis: What category of Christian fiction do you write? Rose: Romance is the category I am published in, and I also have a proposal being shopped by my agent in the small-town women’s fiction genre. What is the name of your latest book and what is it about? Surrender to Peace is about learning to surrender all to the Lord. Like most books I write, this is something the Lord is teaching me in my own life. Who is your leading lady in your latest book? Describe her personality, flaws, desires and dreams. Joy Worth is a travel agent who travels to Puerto Rico on her “honeymoon for one” after her ex-fiancé broke the engagement a week before the wedding. She longs to hear God’s voice again. Marriage and a family have always been her goal, but she is now losing hope. Who is your main man in your latest book? Describe his looks, strengths and weaknesses. Benigno “Ben” Cook is a handsome park ranger at El Yunque National Forest. He is a strong Christian and very caring. Can he point Joy back to the One who gives her joy? What do you hope your readers will take away from your latest book? That God gives His peace to those who surrender all to Him. Share your journey to publication. I had lots of stories and characters living in my head during the decades I taught school, but never enough time to write them down. After retiring, I wrote for over ten years before my first fiction was published by Barbour (Nick’s Christmas Carol in Christmas Belles of Georgia, Barbour, 2011) And just this week I got a call from my agent that a novella I submitted for their Courageous Brides collection has been contracted by Barbour Publishing, to be released in July 2016. Yippee! When did you “know” you were a writer and how did you start to pursue it? I have bits and pieces of stories and characters I wrote down years ago, but they didn’t all come together until I retired from teaching. Do you have an agent? Share that story too. Yes, Tamela Hancock Murray. We met at one of the first ACFW conferences I ever attended, but she just became my agent about a year and a half ago. I consider her my friend, cheerleader, and encourager who always keeps me up to date on the market and what different publishing houses are looking for. Always pray and seek God’s will, join ACFW, and continue to write and make connections in the writing world. If you were not a writer, what would you do? Have more time to read and scrapbook! Paint a picture of your writing space. What makes it special to you? I am typing this interview in my “office” which is a cluttered desk in the corner of my dining room, so the desk, my bookcase and the corner of the dining room table that I have to clear off whenever we have a big family dinner are my writing space right now. BUT, we are moving in a couple weeks, and in the new house I will have my own small, but personal office, so it will be very special to me after over ten years of writing without a space to call my own! Growing up, who was your favorite Christian author? So many. I loved Leon Uris’ Biblical and historical fiction. Why? His writing made ancient worlds come alive for me. Every creative has a muse. What’s yours? My mind, which oftentimes can’t be turned off. It’s like one of the “wheels within a wheel” in Ezekiel which went in many directions! I have to let the thoughts go where they wish, then take the ideas and try to put them in some semblance into a story that makes sense! What is the most stressful part of being an author? Trying to manage the writing, editing, blogging, marketing, etc. all at once. I am still in the learning stages of becoming more organized to be able to fit in all the necessary parts. What is the most rewarding part of writing books? Knowing I am pleasing God by being obedient to His call to write and also letters or emails from readers who are blessed by something I wrote. If you could be a fictional character, who would you be? Why? I don’t want to be anyone but the person God made me because it is so fun and fulfilling! Complete this sentence: What I love the most about springtime is _________ because _________________. What I love the most about springtime is longer days because my husband and I have more time to walk in the evenings before dark. Thanks for the interview, Rose! And thank you for offering to give away one e-book copy of Surrender to Peace. Please leave a question for my readers to answer which, along with filling out the Rafflecopter widget, will qualify them to enter the contest. Rose's question: What is your favorite thing about small towns and/or books set in small towns? A retired schoolteacher who has been happily married to her college sweetheart for over four decades, she is also mother to three grown children and their spouses and grandmother to five lively kids! 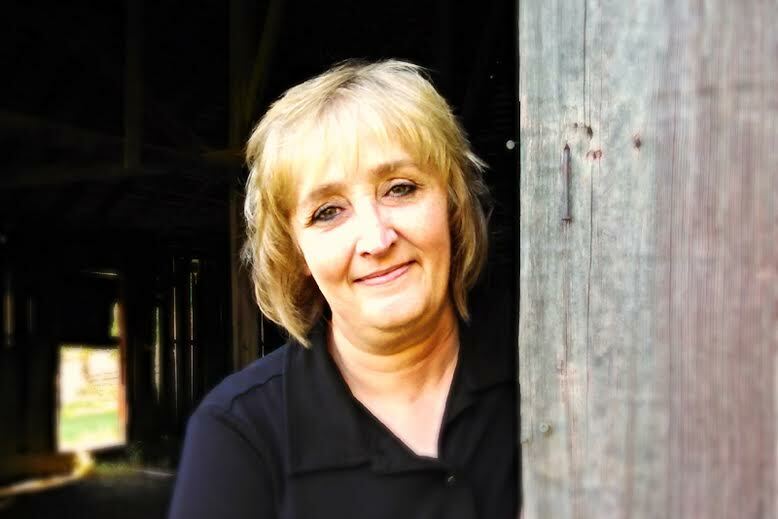 Although Rose grew up in the largest city in Kentucky, she has lived on a farm of almost four hundred acres for the past forty-two years, but is in the process of moving to a small town in KY.
She loves to read and write small town stories. If you have a small town story you’d like to share, please stop by her website and leave a comment. She would love to hear from you. 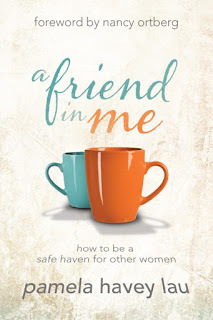 Safe Havens and Open Hearts, book review of "A Friend in Me"
Heartbreak, hope, forgiveness and restoration are all part of Pamela Havey Lau’s new book, A Friend in Me: How to be A Safe Haven for Other Women. But the most important thread found through the stories and pearls of wisdom for women shared in Lau’s book is this: the value of women—young and old—connecting with each other and sharing their life experience in a way that provides support, relief and hope for those who have not yet reached certain stages in life. “The longing for a mentor, for someone who has gone on the journey before you and stops, or at least slows down, and takes the time to walk alongside of you, is a rare thing. I think Pam is that kind of person. She deftly describes the unfortunate chasm that can arise between generations of women and then, slowly, builds a bridge over it. 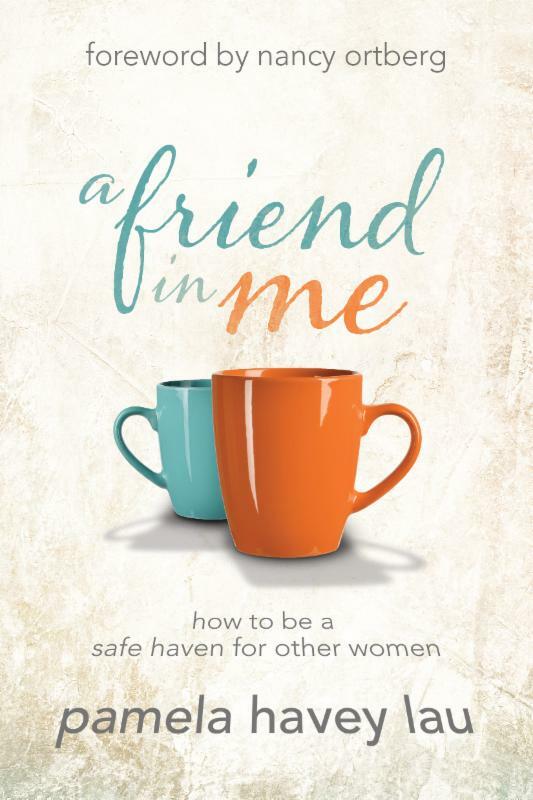 She painfully describes the “groans” on both sides and the hope that awaits when we meet each other on that bridge.” – Nancy Ortberg writes in the Foreword for Friend in Me: How to be A Safe Haven for Other Women. As the reader journeys through the 198 pages of this book, they not only meander over the metaphorical “bridge” mentioned by Ortberg—they relate to the stories and are encouraged in their life journey. Most importantly, women readers are reminded that they are not alone. Lau proves this fact page-by-page. It’s a question worth pondering, answering and setting a plan in motion to effect change. A Friend in Me is a book purposed to bring together women who can offer each other much needed advice on life, support and agape love. Its message is of high importance in today’s society when we’re so connected yet so isolated. Statistics show that 232 million people use Twitter every month and 1.3 billion people used Facebook last year. Clearly, we are a very “connected” society worldwide. Yet is it possible to be so connected yet feel so all alone? Women want to connect with other women and seek mentors who have been there, done that and are willing to share the roadmap. Lau’s book is like that roadmap showing how women can not only be a safe place for women in the earlier stages of life but can be teachers and mentors who offer advice, comfort and understanding. Through her book, Lau explores ways women need to use to initiate relationships with other women and have real conversations about faith, forgiveness, vocation and other matters of the heart and life. “I’m praying for a movement around the globe for women to find satisfaction, healing and safety in closer relationships with the women God has placed in their lives,” Lau said in a press release. Now it’s up to the readers led by God to help make Lau’s prayer and hope for women around the world, to come true. A Friend in Me is most definitely a book to share with all the women in your life. It is beautifully-written and difficult to stop reading until you reach the final page. So if you’re looking to connect with other women and be encouraged through your struggles in life, this is a book for you. *Litfuse Publicity Group sent a complimentary copy of A Friend in Me: How to be A Safe Haven for Other Women, to Alexis A. Goring, in exchange for an honest review. 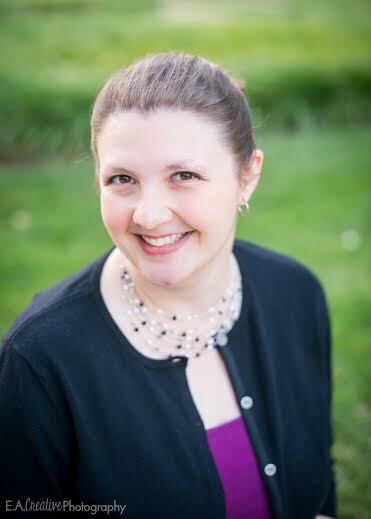 Super excited to introduce today's featured author Liz Tolsma! :) Liz loves writing historical romances. She experienced detours on her way to making her dreams come true but now she's working as an author and she has more than two books in her repertoire! Now here's the exciting part for you--Liz will give away one paperback copy of her featured book, Remember the Lilies! You can enter by leaving a comment and your e-mail address toward the end of this post and by filling out the Rafflecopter widget. I hope you will enjoy getting to know Liz via the author interview below. Alexis: Remember the Lilies is quite the captivating title for a book! Tell us about it. 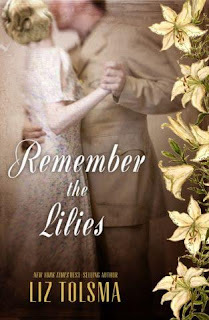 Liz: Remember the Lilies is set in Manila during WWII. The Japanese interned almost 4,000 Westerners at Santo Tomas University for 37 months. In my book, Rand and Irene are two of the internees who must face starvation, cruel treatment, and espionage in order to survive. Who or what inspired you to write Remember the Lilies? I was inspired by the 4,000 real men and women who survived those terrible days with grace and even humor. Who is your heroine in this book? Describe her looks, style and personality. Irene Reynolds is a missionary’s niece who grew up in the Filipino jungle. She is beautiful and blonde and a Jean Harlow kind of way, but dresses plainly and doesn’t use much make-up. She doesn’t realize how pretty she is. She’s sweet and humble, though she does have quite a stubborn streak. Who is your hero? What makes him interesting? What makes him different? What makes him fall in love (I’m guessing with your heroine)? Before the war, Rand Sterling was a jet-setting ladies’ man who owned two very successful night clubs in Manila. He’s daring. He falls in love with Irene because she’s so different from the socialites he’s used to associating with. Her quiet faith impresses him. Why did you choose the Philippines for the setting of your book? My son, a U.S. Marine, has always loved the Pacific Theater of WWII. When I needed a 3rd idea for this series, he suggested that one be set there. As soon as he said that, I knew what story to use for the book. What do you want your readers to treasure most about Remember the Lilies? The theme of the book is forgiveness. I want them to know that no matter what has happened in their lives, God offers them forgiveness. What is the most beautiful part of the writing and publishing process for you? I love creating the stories and watching them come alive. What is the most challenging aspect of being a writer? Why? Just finding the time to sit down and write! I have two children still living at home, a husband, and a very busy life. Some days there just aren’t enough hours for all that needs to be accomplished. Why did you choose writing for a career? Or do you have a day job? Explain. It’s what I always wanted to do. My life took many detours along the way, and I do have a part-time job, but I decided that I needed to pursue my dream before I regretted not taking the chance. Describe your writing space. What makes it unique or special to you? It varies from day to day. Sometimes, I write at a small desk in my bedroom, or on my front porch, or in the family room recliner, or even in the car or at my daughter’s therapy session. Just wherever and whenever I have the chance. What is your go-to food or drink when on deadline? Are you working on your next book? If yes, what can you tell us about it? Yes. This series follows a trio of American women journalists in Europe during WWII. The first book is about a reporter in England during the London Blitz. What is your favorite feature of springtime? The lack of snow ;) And I love to watch my garden come back to life. Give us a glimpse of your personal life. Are you married with kids? What’s your favorite memory with your family? How do you spend your free time? I’m married to my high school sweetheart. We have a grown son and two daughters. All of my children were adopted internationally. The youngest has a variety of special needs. I have so many fond memories with my family, especially of the days each of our children joined our family. We love to be outdoors – camping, gardening, kayaking, hiking, snowshoeing. If you could live anywhere in the world for at least once year and write about it, where would you go and why? I’d love to go back to Vietnam (we were there in 1995). It’s so special to us because we adopted our son there. The people were so kind and welcoming to us, so eager to please us, yet my heart breaks for that land which is so dark spiritually. I’d love to work to spread the gospel there. Thanks for the interview, Liz! Now please leave a question for my readers to answer so they can enter your book giveaway contest. Liz's question: If you had to give up one creature comfort for a year, which one would it be? Liz Tolsma has lived in Wisconsin most of her life, and she now resides next to a farm field with her husband, their son, and their two daughters. Add a dog and a cat to that mix and there's always something going on at their house. She's spent time teaching second grade, writing advertising for a real estate company, and working as a church secretary, but she always dreamed of becoming an author. When not busy putting words to paper, she enjoys reading, walking, working in her large perennial garden, kayaking, and camping with her family. How will two very different people find love—and survive the impossible circumstances of war? In 1941 Rand Sterling was a wealthy, womanizing club owner and an American of note among ex-pats and locals alike. Now two years later, Rand is just another civilian prisoner of war—one whose planned escape from the Santo Tomas Internment Camp could put him and others in grave danger. Irene Reynolds grew up as a missionary kid in the Philippine jungle. Now she works for the paranoid Japanese authorities, delivering censored messages to the other American prisoners in Santo Tomas. When Irene’s negligence leads to Rand’s failed escape attempt, Rand is sent to the torture chambers of Fort Santiago—and Irene suffers under the weight of her guilt. Yet when she crosses paths with Rand again after his unexpected return to the camp, something more than mere survival draws the unlikely pair together. As life in Manila becomes more and more desperate, and another threatening letter finds its way from Irene’s hands to Rand’s, the reluctant couple struggles to find a way to stay alive... and to keep their growing feelings for each other from compromising the safety of everyone around them. 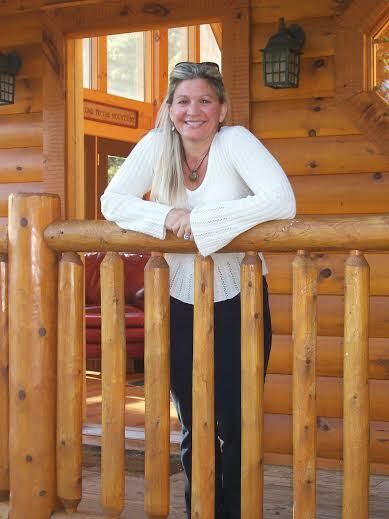 Let's welcome Christian author and preacher's daughter Tammy Johnson to the blog today! She's here to talk about her novel Royal Rescue. Tammy will share details on how she creates her fictional characters, the writer life, how her faith in God affects her storytelling and why she cannot imagine not enjoying working as a published author regardless of the deadlines and demands. Tammy loves to hear from readers so when you reach the end of her visit today, please leave a comment. *Words from Alexis in bold, words from Tammy not in bold. Alexis: Why did you write the book Royal Rescue? Tammy: It has been my dream to write for many, many years. How Royal Rescue came to be is a long story. I’d been writing off and on for many years, but I’d always let life and fear get in the way. In the spring of 2014 I had been praying for wisdom to see if my life was on the right path and seeking help in what I should do about my future and financial situation. Soon after on a Sunday in church the pastor mentioned that God really wanted us to use what was in our hand. I took that as an answer to my prayer that I should write again. When I got home from church that Sunday, I looked on the Harlequin forums to see if they had any writing contests coming up that I could work toward entering. (It had always been my dream to someday sell a book to Harlequin and I knew from past experiences they often had editor pitches and other contests for aspiring authors.) There I found the Killer Voices contest the Love Inspired Suspense line was having. It had already started, but I had a few weeks before the deadline of the first stage which was a first page. I knew I had to do it! Through every step of the way I felt God with me, telling me if I did it, He would bless it – and He sure did! Share your character creation journey. I usually create my characters from the inside out. I know the personality I want them to have and the person I want them to be. I develop their unique conflicts and details before I begin to flesh out their looks. I usually get my ideas from characters on TV or in the movies and like to set up Pinterest boards for inspiration on little details. Who is the heroine in Royal Rescue? Describe her character traits, quirks, strengths and weaknesses. Thea James is a princess in hiding who has found out it’s time to go home. Throughout the book her faith remains strong, even though it is challenged several times as she deals with fear. Through all the years she’s been hidden away for her own safety, she never gave up on the hope of her family being reunited. She is strong and independent and at times a little stubborn, but she is smart enough to know her own limits as well. Let’s talk about your hero. What’s his name? What makes him a true hero? What are his flaws? What makes him perfect for the heroine? Ronin Parrish is a man who will sacrifice anything and everything to protect those he cares for. He is on a mission in this story to regain honor that his family has lost by proving his father is innocent of the crime of killing the king, Thea’s father. Along the way he learns from Thea and realizes how important the faith he thought he’d lost can be. Thea and Ronin have an instant attraction, but more than that, they develop a respect and understanding of each other as their strength is tested by danger throughout their journey. What was your favorite feature of writing this book? During the Killer Voices contest, I loved having the deadlines that kept me motivated to keep writing. I also loved the friendships that I’ve formed with many of the other writers who entered. After I sold the book, I’ve made even deeper connections with other authors and have really enjoyed the friendships that have formed. When I look back on how Thea and Ronin began, I almost get teary eyed thinking of all they had to go through to find reach their happily ever after. I’d have to say that is one of my favorite parts of this book and every romance. I love the happily ever after. Is there anything about the writing/publishing process you do not like? I love writing when I’m actually writing. Getting to that place where I can actually write is sometimes not a lot of fun. I’m terrible at procrastinating, that’s something I’m working on. Being published is a dream come true and I can’t imagine ever not enjoying it. How has writing this book brought joy or difficulty to your life (or has it)? Explain. Writing Royal Rescue has been a huge blessing and brought me more joy than I could ever explain. Through the whole process I had a knowing like I’d never experienced before that God was with me and wanted to bless me. Through the process I realized I needed to do the work and stick to my writing and not let myself get discouraged. What do you like the most about writing for Harlequin’s Love Inspired line? Share your story about how you started writing for that publisher. I guess I already explained how I came to write for Love Inspired Suspense. I had always dreamed of writing for Harlequin and they are always on the lookout for new authors through the many contests and pitch events they provide. I love writing for Love Inspired because it gives me a chance to share my faith and hopefully inspire others in their faith as well. Plus, I get to share stories of love and what can be better than that? Why do you choose to write romantic suspense and not another category of Christian fiction? Writing for the suspense line gives me a chance to share thrills and danger and show how people can rely on their faith even during the scary times. If you could spend a day with any of the characters in your book, who would it be and what would you do? Share details and explain why. I formed an attachment with both Thea and Ronin. It was hard to be done with them and put them aside to work on other stories. I feel like I know them pretty well already, so if I had to pick someone, I think I’d spend the day with Ronin’s older brother, Jarrod. I hope to be working on his book soon and I’d love to pick his brain and see what makes him tick. What was your go-to food or drink while writing Royal Rescue? My go to so far have always been peanut butter M&M’s and a glass of sweet tea. I always have my tea while writing and chocolate makes me happy. What do you want your readers to remember most about Royal Rescue? I hope that everyone who reads Royal Rescue will come away from the story knowing they are special and important. The verse I chose for the story was, 2 Corinthians 6:18 which reads, "And, I will be a Father to you, and you will be my sons and daughters, says the Lord Almighty." I hope that every reader knows how loved and valuable they are to their father, God. Now that you’ve published your first book, what’s next? I’ve been working on the story for Thea’s brother, Leo. I hope to have it to my editor early this summer. I already have several other stories ideas for other characters who were in this book and others who weren’t. I hope to keep busy writing and enjoying every day of the life I’ve been blessed with. Do you have any final comments? Thank you so much for having me on the blog and for those who have read this far, thank you! 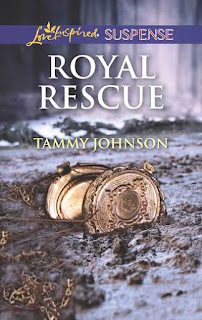 If you read Royal Rescue, I hope you enjoyed it and that it sparked something in your heart. Author bio: Two of Tammy Johnson's biggest dreams were being a mother and becoming a Harlequin author. After raising and homeschooling her four children up to high school, her writing dream came true when she sold her first book through the Love Inspired Suspense, Killer Voices pitch event. Raised as a preacher's kid, faith has always held an important place in her life. Tammy enjoys sharing her faith by writing stories of strong heroines and heroes who find strength in their beliefs to overcome danger and fear. She is a country girl at heart and lives in a small Kansas town with her teenage son and dachshund. She enjoys cloud watching and summer storms. A glass of sweet tea and a new story are never far away. Hidden away for more than fourteen years, Thea James was presumed dead by most—killed in the fire that burned the royal palace. But Ronin Parrish knows the truth…and so does the person who murdered Thea's father, the king. Ronin takes his new duty as Thea's bodyguard seriously. After all, she's the only one who can clear his father of the king's murder. It doesn't matter that the princess's beauty and strength draw him to her. To a commoner like him, she can never be more than a mission. Now he's in a race to restore the princess to her rightful place on the throne before the unknown killer prematurely ends her reign.